One of the most delightful things about being retired is the ability to make a simple event, like eating lunch, into an excursion. 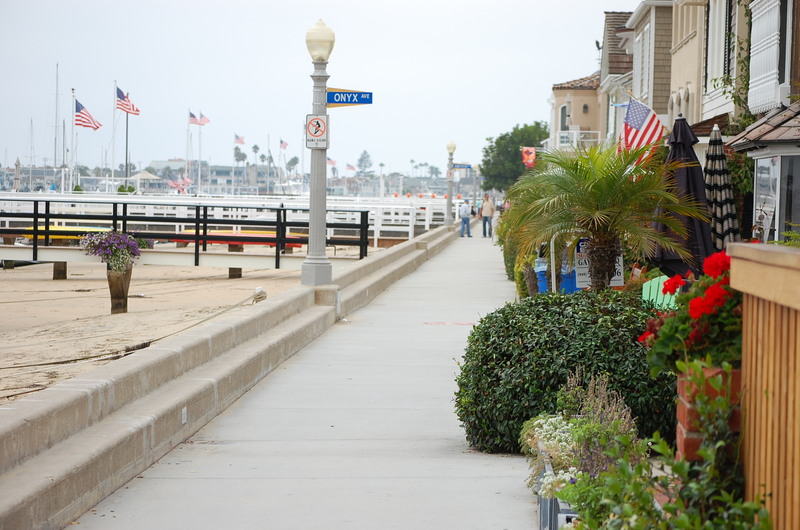 My husband and I recently made a lunchtime journey to Balboa Island, a picturesque island nestled between Newport Peninsula and the city of Newport Beach. 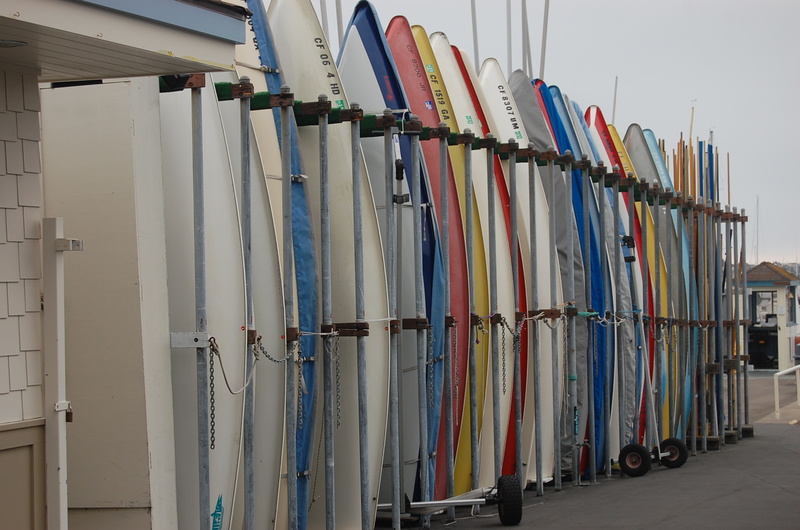 It’s a southern California location just about fifteen minutes from our home. 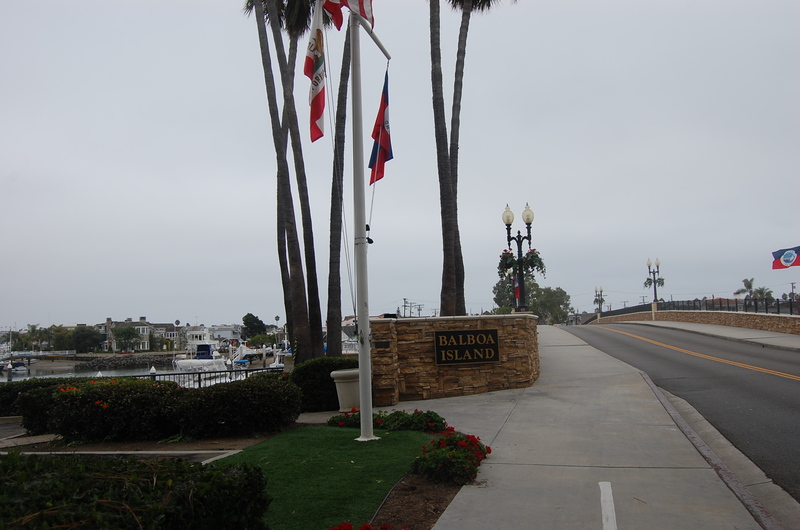 This bridge and the ferry are the only ways of entering Balboa Island. As you can imagine, this charming place is a hot spot in the summer. 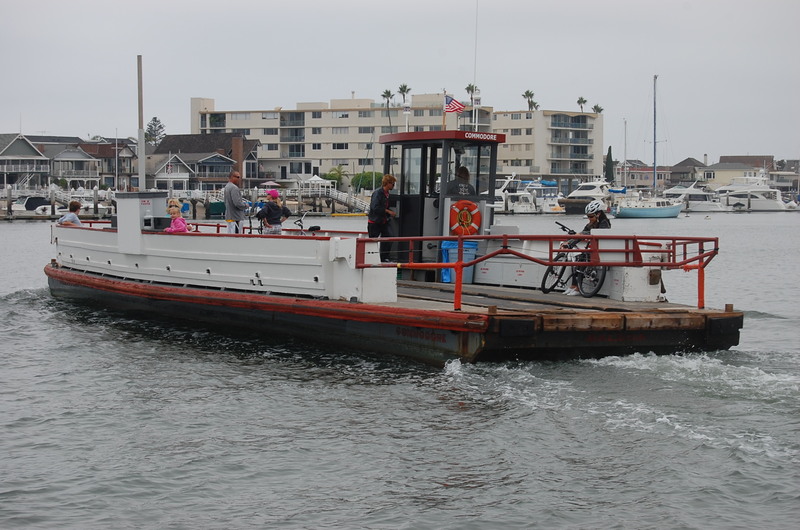 The ferries that trek between the island and the peninsula are typically packed with cars, bicyclists, and pedestrians, all anxious to get onto the island or to the peninsula where The Balboa Fun Zone awaits. 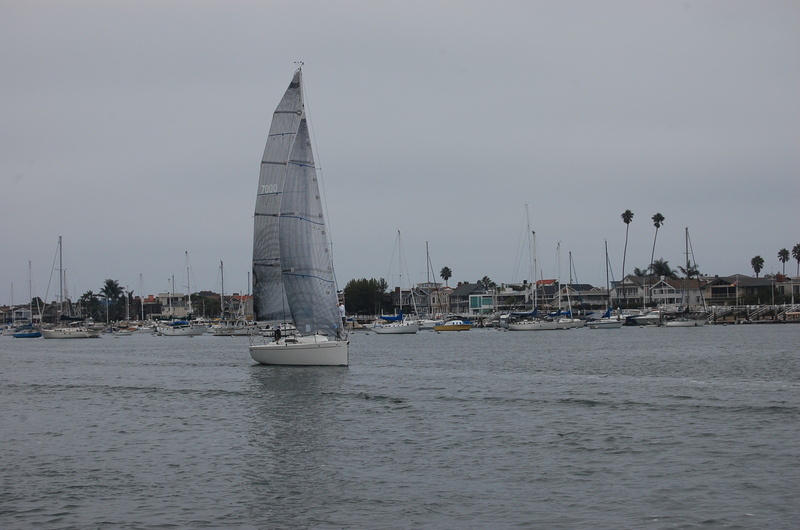 Yachts, sailboats, and kayaks busily navigate the waters surrounding the island. Bicyclists, roller-bladers, and folks, just out for walk, fill the sidewalk, which runs the perimeter of the island, at the water’s edge. 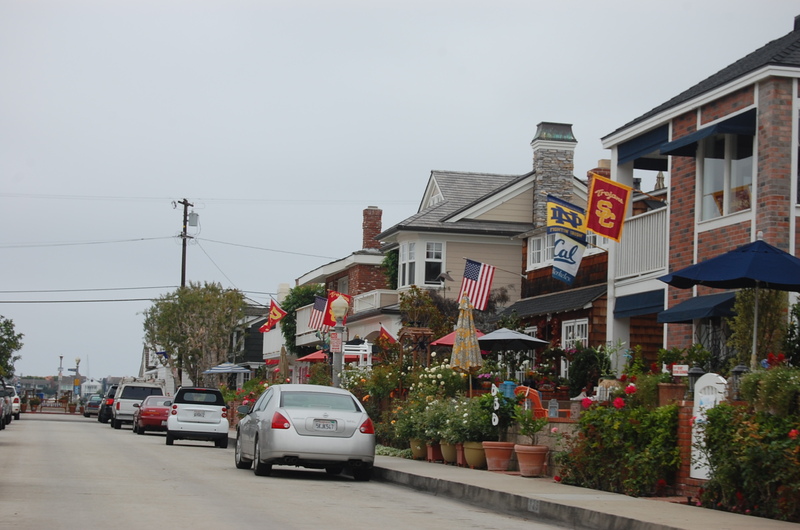 Marine Avenue, the island’s aptly named main street, is lined with small boutiques, coffee shops, and restaurants as well as a post office, fire department, and grocery store…all the necessities for those who call Balboa Island home. Despite all of the activity, being on this quaint island is peaceful and relaxing and provides, at least temporarily, an escape from the everyday routines of the real world. But we weren’t having lunch on a summer day. Summer had been dismissed and a stroll around the island reminded us of that fact. 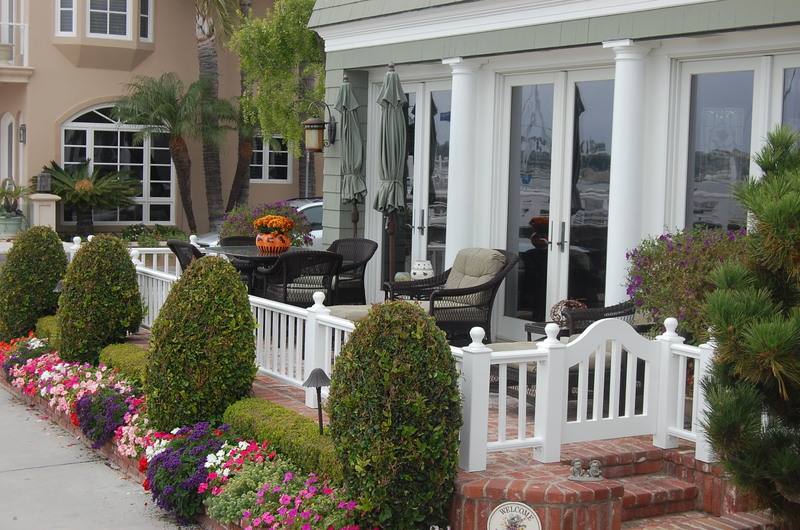 A fall day on the island is a stark contrast to a typical summer day. The activity level has definitely dropped as the weather has cooled and the vacationers have gone home. Sailing class enrollment is down. A ride on the ferry minus the cars. 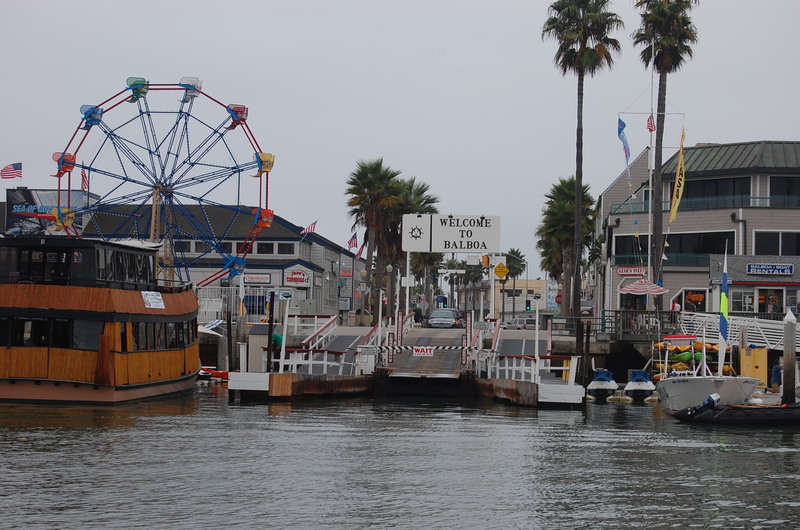 A somber Balboa Fun Zone typically bustling with activity. The change of seasons provides a break from the challenging parking conditions and the crowded sidewalks as well as furnishing the residents with new decorating opportunities. 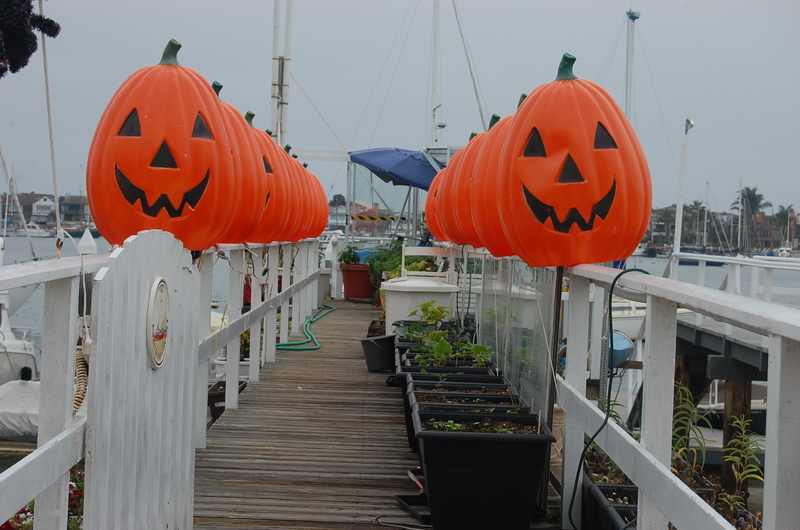 Battened down umbrellas and a pumpkin centerpiece add to this picturesque setting. Fall means displaying your team spirit! Flags fly year-round on the island. A beautiful sight even against the overcast skies. 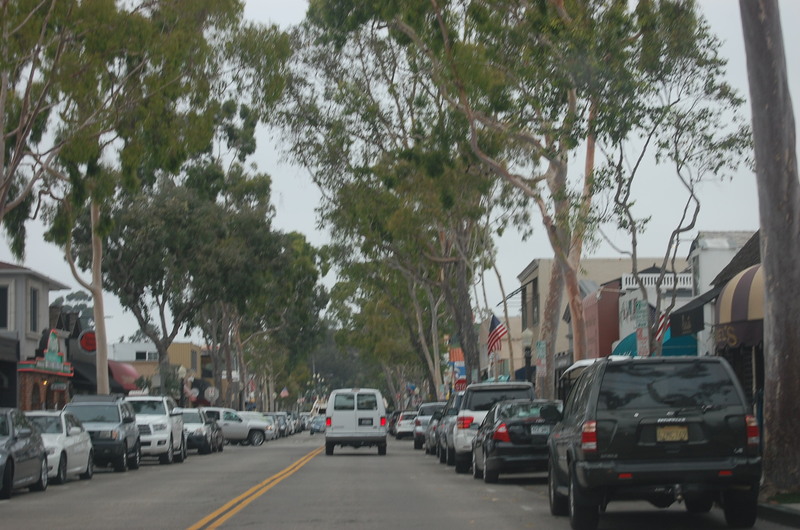 We ended our visit with a walk down Marine Avenue. 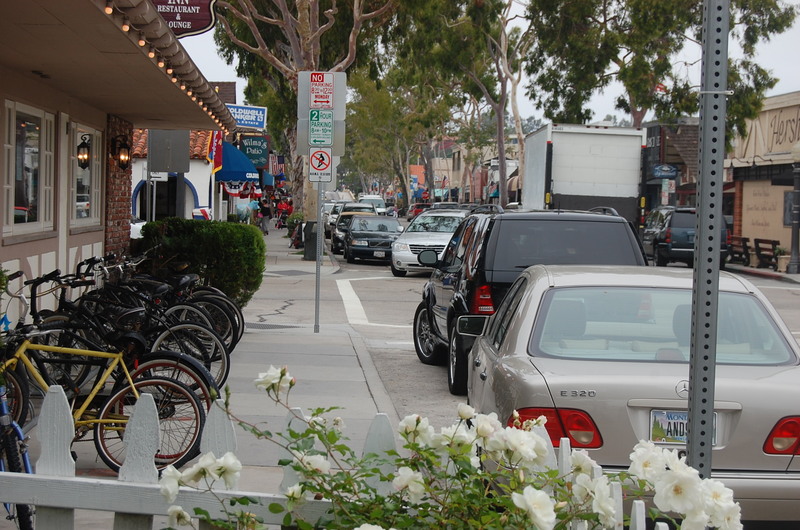 Traffic remains on the only street on and off of the island as the local visitors continue to enjoy the island throughout the year. 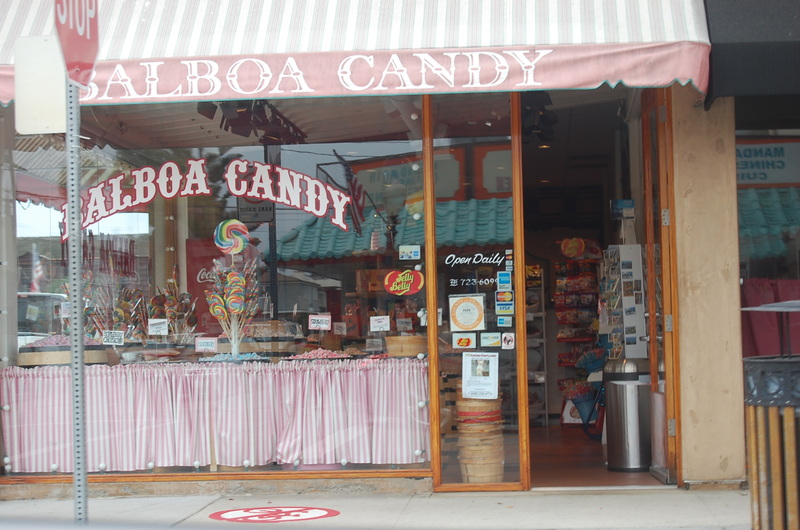 But we didn’t see a single person, that day, enjoying a frozen banana or a Balboa Bar. Final proof that summer is behind us. No crowds at the candy store today. There are even some available spaces to park your bicycle. 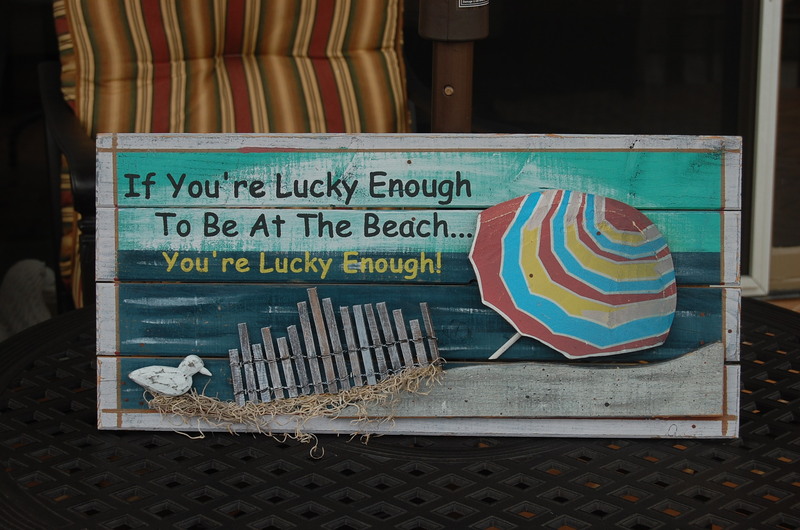 Our sentiments exactly...regardless of the season! Fabulous pictures! Makes me want to be there. I haven’t been to California too many times, but each time has been a delight. There are so many charming little towns there. I never thought what fall would be like there. I guess I always think of sunny California being warm most of the year. But then people always thought it was raging hot in San Antonio all year, and it definitely changed with the seasons, thought not so dramatically as in the northern parts of the country. I enjoyed going on your excursion with you. Wish my honey was retired, too. California definitely changes with the seasons although it can be subtle and unpredictable. The last two autumn days have been in the 90s!!! Thanks for commenting. If you were closer, Susan, we’d go to lunch on the little island. Wow, this looks like a great way to enjoy lunch. I love California! It was! If I ever win the lottery (but I’d have to buy tickets to do that) 🙂 I’d love to live there. Thanks for stopping by. I’m off to visit you and hopefully see more pics of Mr. Cheddar.